Participating artists include: Andrew Hambleton, Ben Whittington, Dan Booth, Fabian Osborne, Graham Riding, Helen Campbell, Jenny Thomas, Scarlette Homeshaw, Susan Wright. 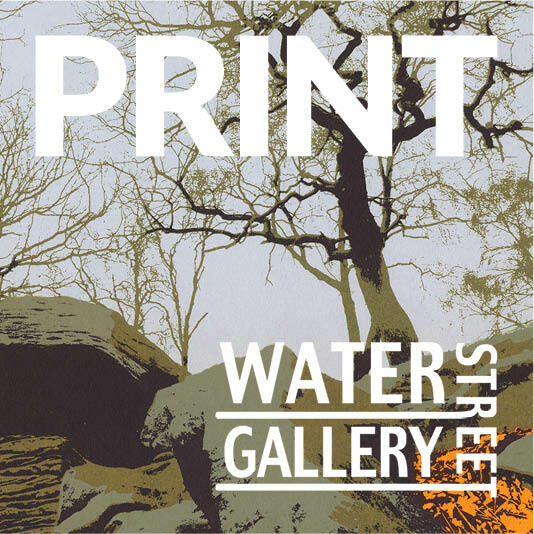 Prints by selected members of WYPW and Water Street Gallery, Todmorden. An exhibition which showcases the possibilities for printmaking to make rich and engaging art works through a variety of printmaking processes, including dry-point, etching, linocut and screenprint. Printmakers like to push the boundaries of their medium: to see what they can do with a printing plate, a technique, an image. Ideas don't always work out, but the spirit of play and the process of experimenting, reflecting and learning are part of a printmaker's journey. At West Yorkshire Print Workshop in Mirfield, artists engage with a variety of traditional printmaking activities such as lino cut, etching and screen printing. Professionals and amateurs, beginners and accomplished practitioners can use the equipment, resources and expertise to discover what excites their imagination and find their own area of interest. The artists in this exhibition represent just a small part of the membership at WYPW. Their practices vary and they are at different stages of their career. All are engaged in the process of print to extend and articulate their take on the world. The display presents a small insight into the possibilities which printmaking has to offer.